Fish, swim and visit the SS Palo Alto – one of the most unusual attractions in the Santa Cruz area. Mark your calendar for the 'Cement Ship' Centennial Celebration, Saturday, June 1. From Highway 1 take the State Park Drive exit and drive south,toward the ocean. The park entrance is at the end of State Park Drive. By Bus: Take Santa Cruz METRO route 91X, 71, 55 or 69W. 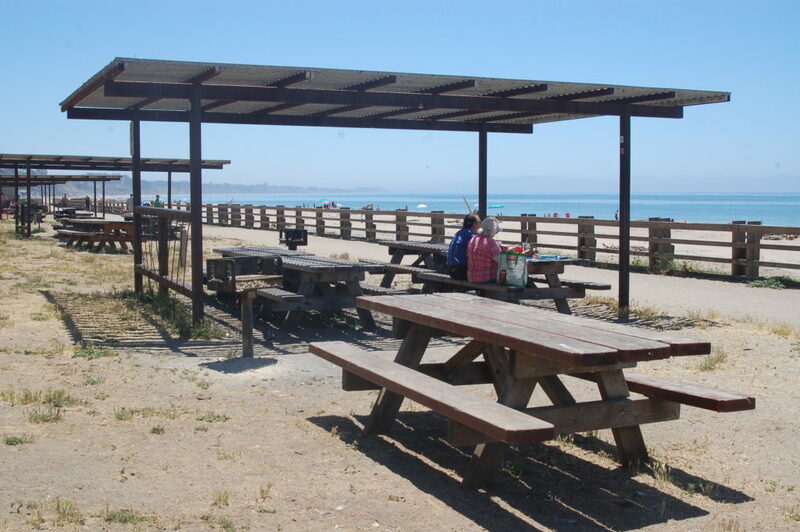 The picnic area with the ramada next to the Visitor Center may be reserved by contacting the special events coordinator at (831) 429-2850; all other shaded picnic areas are first-come, first-served. One person may hold one picnic table only. 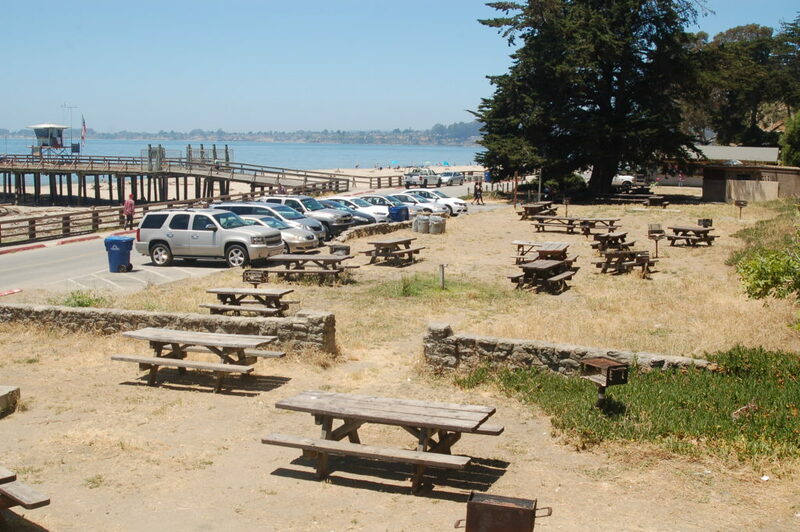 Picnic areas include tables, barbecues and trash cans. Alcohol is prohibited. Swimming, surfing and boogie boarding are popular. Lifeguards are on duty from Memorial Day to Labor Day weekends. Fishing is allowed from the pier. A fishing license is not required, but state Department of Fish & Game limits apply. Anglers catch sole, flounder, mackerel, anchovy, bocaccio (tomcod), kingfish and – occasionally – salmon and steelhead. A one-mile beachside paved trail runs the length of the park. There also are dirt paths in the upper part of the park. Bikes are allowed. The SS Palo Alto attracts an immense variety of marine life: mussels, barnacles, sea stars, sea anemones, ocean worms, rock crabs, harbor seals, pelicans, cormorants and, in the summer, sooty shearwaters. Sea lions, dolphins, whales and sea otters are often spotted in the water. Learn more about the area’s wildlife in the Visitor Center. Hours: 10 a.m. to 4 p.m. daily during the summer (Memorial Day to Labor Day) and 10 a.m. to 4 p.m. Wednesday to Sunday during the off-season. 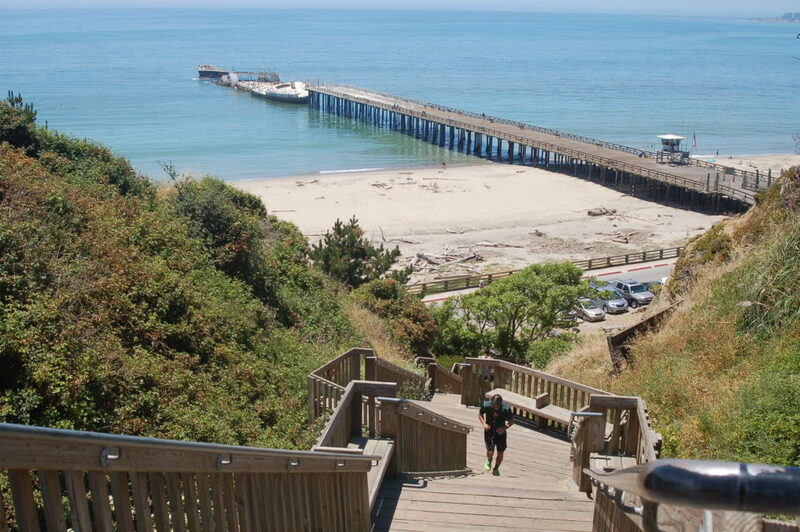 Exhibits share the natural and cultural history of the area including Seacliff’s cement ship, marine fossil beds and the Monterey Bay National Marine Sanctuary. The Visitor Center also houses an aquarium and viewing tank with ocean creatures to observe. • Beach wheelchairs are available to borrow. Learn more about access in this Hilltromper guide. There are 26 RV campsites, including premium, full hook-up ($65 per night) and self-contained ($55 per night). Disabled access is available. Maximum trailer length is 36 feet; campers and motorhomes can be up to 40 feet long. Visit ReserveCalifornia or call (800) 444-7275 for reservations. Field trips are offered. Learn more. The S.S. Palo Alto, one of a few cement ships built during World War I, has been a popular attraction for visitors since it was put in place in 1930. The plan was to turn the ship and the pier into an amusement and fishing ship. The Cal-Nevada Company quickly constructed a dance floor on the main deck, a cafe in the superstructure of the ship, a 4-foot heated swimming pool and a series of carnival type concessions on the aft-deck. Unfortunately, the Cal-Nevada Company went bankrupt after only two seasons. The ship was then stripped — leaving the pier and the ship to be used only for fishing and as a nature preserve. The deteriorating ship was closed to foot traffic in 2000. Winter storms in 2016 and 2017 turned the stern of the ship over onto its side and damaged the far end of the pier. 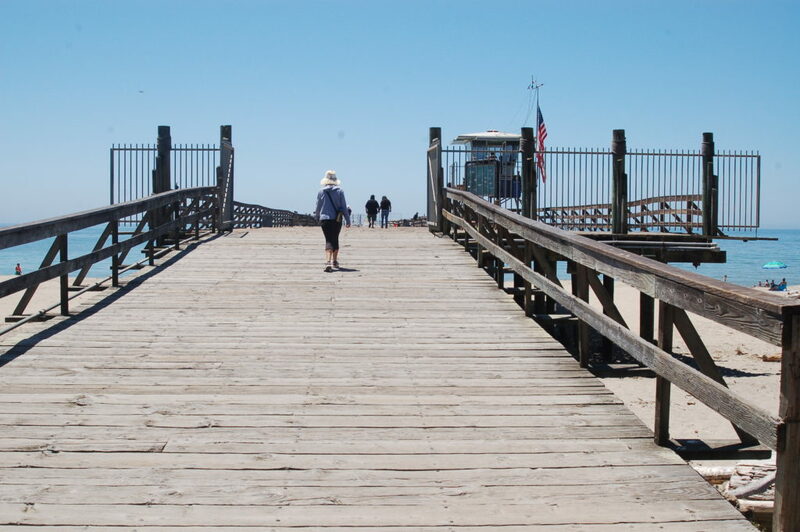 The far end of the pier will be repaired but remains closed at this time. Climbing on the sandstone cliffs and digging or collecting fossils are prohibited. Rollerblading and skateboarding are not allowed. The speed limit in the park is 15 mph. Vehicles are not allowed on gravel or dirt walkways. Dogs must be on a leash no longer than six feet and always attended to. Alcohol is prohibited on the beach and in day-use areas. Firewood may not be imported. Firewood is available for purchase at the entrance station or camp host. Campsites are limited to two vehicles. Recreational drones are allowed only above the field adjacent to the upper parking area or by permit.